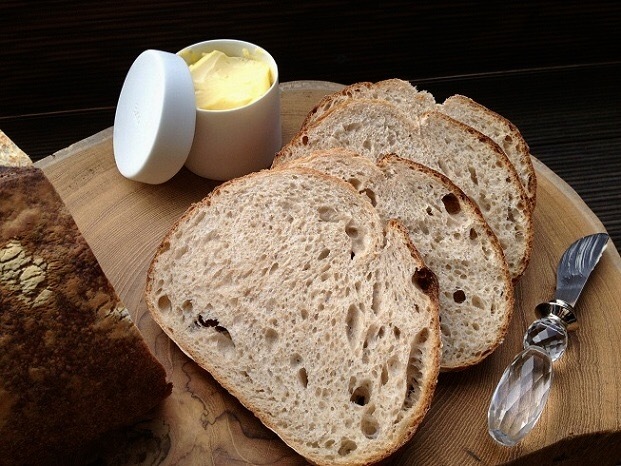 Sourdough is one of life’s simplest pleasures. How lucky I am to not have gluten intolerance. It’s been nearly four years since I last posted. Is anyone familiar with an Australian aborigines’ rite called “walkabout”? I feel like I had gone on a long walkabout and have just found my way home. A lot had transpired in between, but at this very moment, I feel not much has changed between me and sourdough. So, Hello friends, I see a few familiar faces but most I don’t recognize. I guess that won’t matter; bread is our common language. 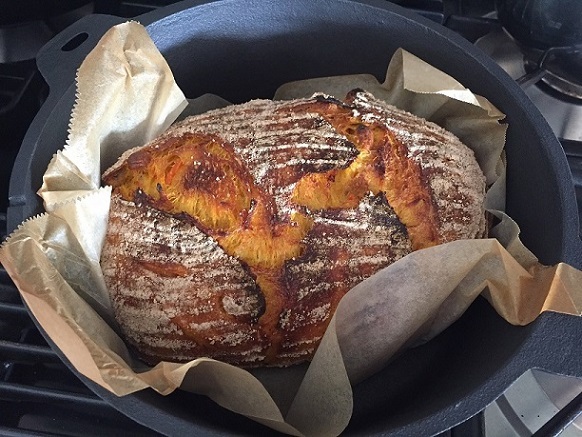 I never thought I would lose it, but I did – a few times I tried to make bread during my time away but failed miserably and I never quite knew what went wrong. 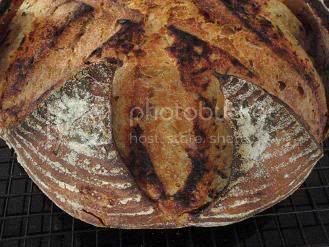 A year or 18 months ago, I bought my sister Orange Jim Layhey’s famous No Knead bread book; secretly I wanted to learn it too as a way out of the mud, or quick sand, I was in with my formal way of sourdough making. (1) Mix everything up in one go, and just leave it. 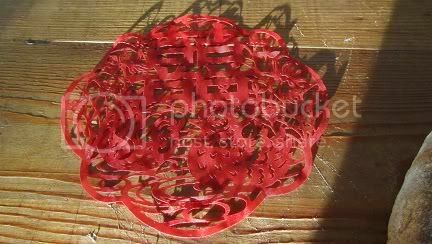 If you are so inclined, give it a fold or two, or none, not straightaway, but perhaps a couple of hours later, or whenever. 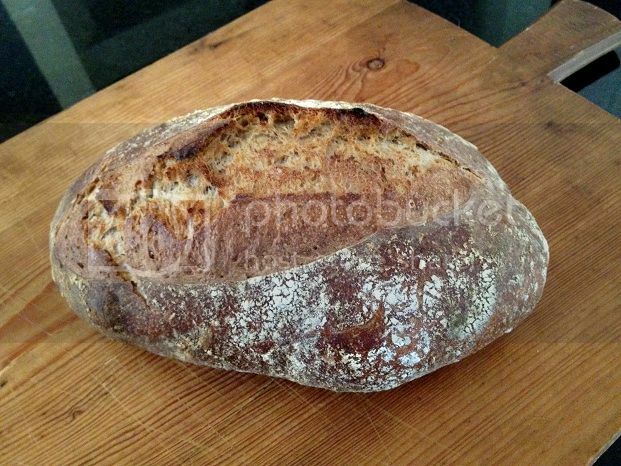 (Being a sourdough baker, you would just be so tempted to fold it. It is not possible to not fold it; you cannot not do it.) In the 9 hours of bulk fermentation at room temp averaging 22-24C (72-75F), I did just one letter fold. (2) Just before shaping, I did another letter fold, and I let the dough rest for 15 minutes, then shaped it (very minimalist handling); final proof a little over 2 hours. (3) 30 minutes before baking, pre-heat with a Dutch oven inside to 225C (450F). Bake it covered for 30 minutes (no need for steaming), then open the lid, and bake a further 10 minutes. When all is said and done, I am finding learning to “read” the dough is THE most important step of all steps, a step that can override all other steps! Not sure how much I will be posting going forward, but glad to be back and say Hi. 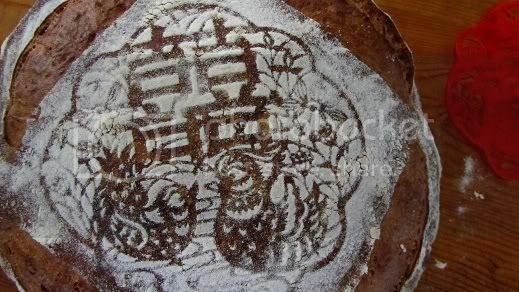 This bread was my very first sourdough baked in Taiwan. 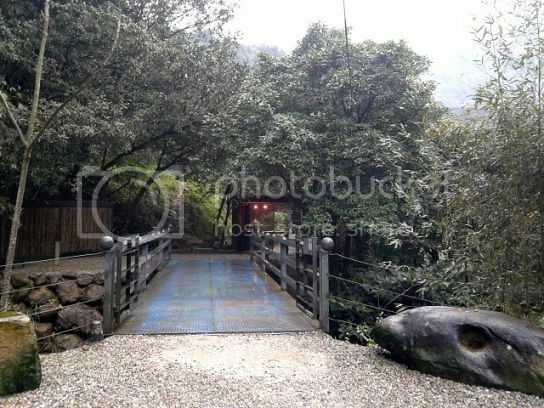 My family and I spend a lovely Christmas and New Year holiday in Taipei. My oven is Bosch there. I used no steaming mechanism. 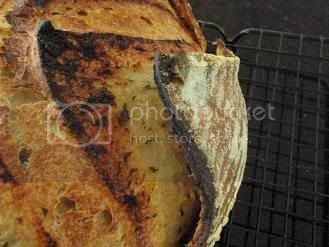 Spray can did the trick for me on this bread. I did not aim to make a perfect bread, just a bread. 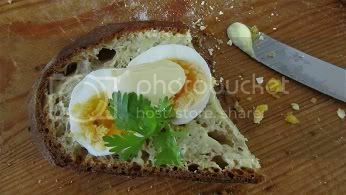 We thoroughly enjoyed this bread, but I had no hesitation to put my starter away. On holidays these days I prefer not to spend too much time in the kitchen. 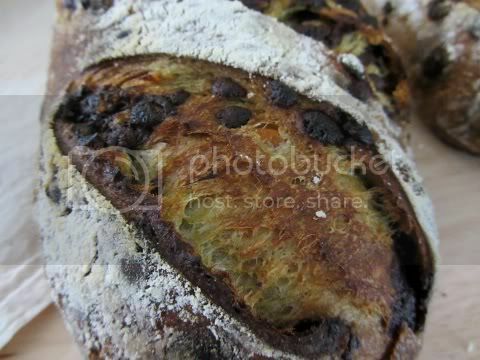 Maison Kayser and Frédèric Lalos Bakery are both in Taipei and their breads are very good. 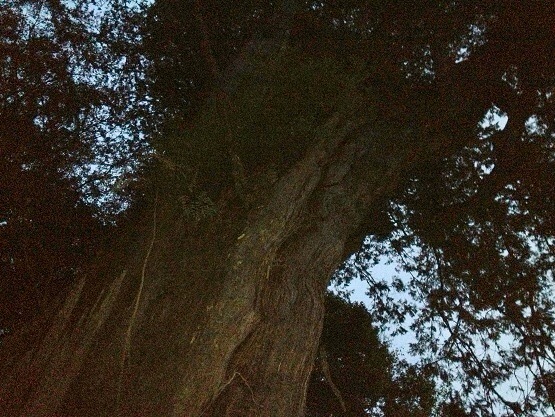 There are about 20 of these ancient giant red cypresses in Taiwan, ages ranging from 1000 to 2700 years old. The Japanese left them untouched at the turn of the last century because back then these trees were already hollow in the middle and were considered to have no economic values. The Japanese ran a massive logging industry in Taiwan during their 50 years of occupation before the end of the Second World War. The red cypresses were shipped back to Japan for use in their temples and their Emperor’s residences. It’s a stunning morning with gentle early winter breeze. 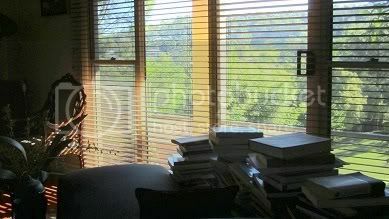 I could see the tips of my tall bamboo shrubs waving in the yard out of the window in my tea room. 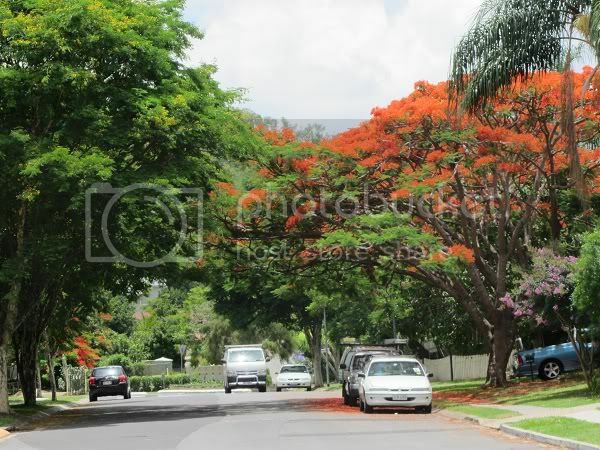 Years ago when I was working, racing to the airport on Friday afternoons to see family, rows and rows of bougainvillea that lined the expressway to the airport would dance as my taxi flew by. 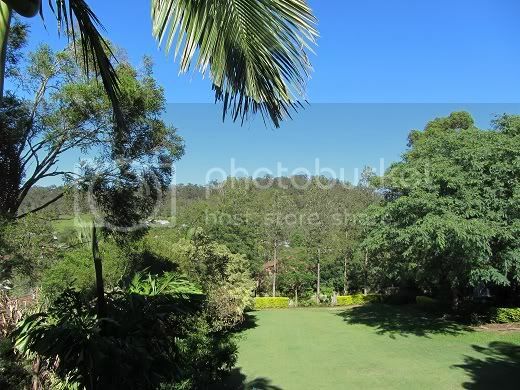 I used to count the waving bougainvillea, as do I now with the bamboos against the bright blue sky. What do I bake on this early winter morning? I feel like something that would add some heat, some aroma. Six months had gone by since my last post. My son is in the middle of his freshman year in University and loving it. My daughter is in her third year and her path is more and more clear to her. Such beautiful kids they are. 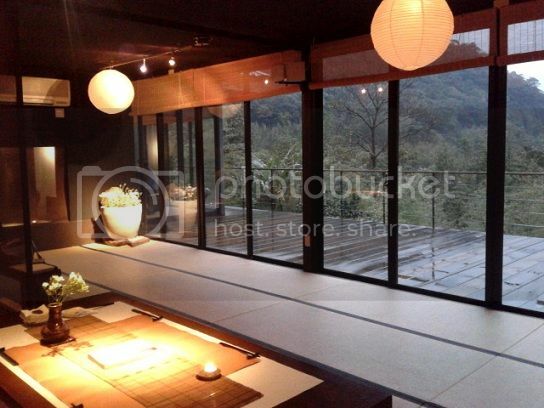 I had been busy with a project in Taiwan but now that project has come to a fine completion I will expect to stay in Australia more – and bake more? I hope. I missed my sourdough. How the aroma of roasted caraway seeds crept into my senses I don’t know. The winter? The crackling wood in the fire at night? It was as it had promised: The aroma that was in my head when I was in Taipei was singing to me this morning in my hands. I promised my sisters to make Taiwanese pineapple tarts for them the next time I come back again. 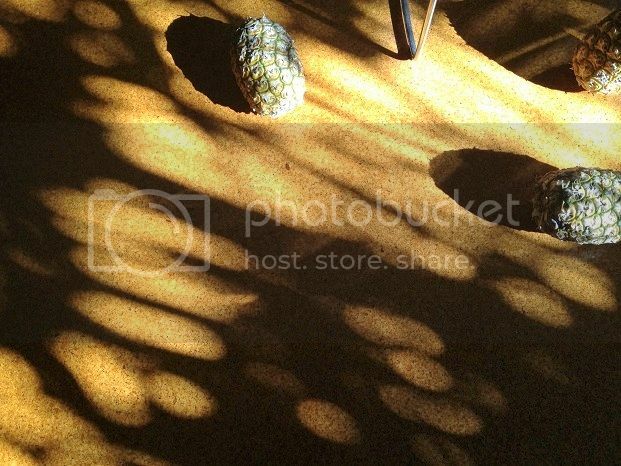 The sun coming through my bay windows in the kitchen cast beautiful shadows of trees growing on the side of the house; but I am scared to have to open the pineapples – the Queensland pineapples are so sour…. 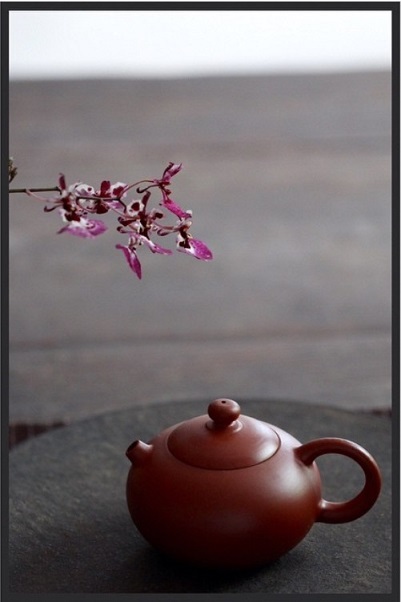 Drinking tea is for me as much a mental as a physical affair. Tea and sourdough are an unlikely combination I know but both I love. I have a book called “Listen to the Materials” and a book about the purity in (building) materials. I find similar qualities in the beauty of both building materials and raw food ingredients when they are treated with respect. One day I would like to write about it. Reflection is a bitter sweet thing. Why do we have dessert at the end of a meal? Dessert gives us a feeling of happiness. 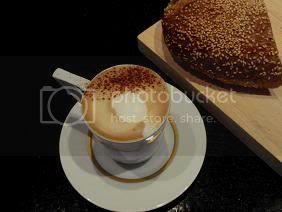 Why do we love coffee? For me, to counter the sweetness that has accumulated in my palate. On this last day of the year I reflect: Bitterness gives meaning to sweetness. My husband replaced our refrigerator while I was away. The old fridge had refused to give up the ghost and was still going. I do not know what prompted him to replace it. Early spring cleaning?! My girlfriend came by to have coffee and a piece of chocolate panforte. I was looking through the junk in our new fridge that my husband has kept for me from the old fridge. I saw a jar of green tea powder and asked my girlfriend to have a look. She said, with a roaring laughter, “It expired in 2008!” Notwithstanding, I had a taste and it was very bitter. Then, I found a gift packet from Three Sisters’ Inn in Kyoto, Japan, where I had stayed numerous times. 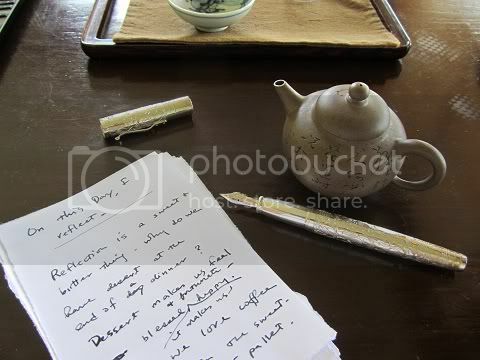 It contains sachets of green tea soup – savory with a hint of sourness. In the back of the new fridge, I found more macha green tea powder. Can I build this into a sourdough with, say, chocolate – sweet and bitterness? Here it is, but don’t do what I do. 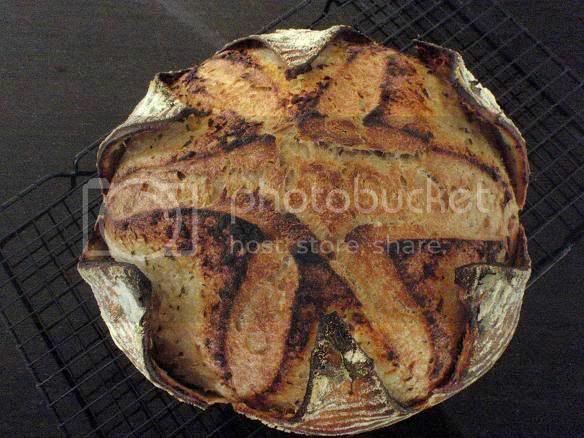 It is a bit wacky for a sourdough. 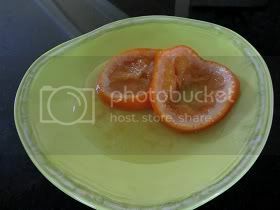 I also built in orange preserves to give it contrast and colour. I forgot there was much sugar in the dough and had baked it in too high a temperature, around 230 C. Lower temperature would have been better to allow a longer bake for crispier crust. 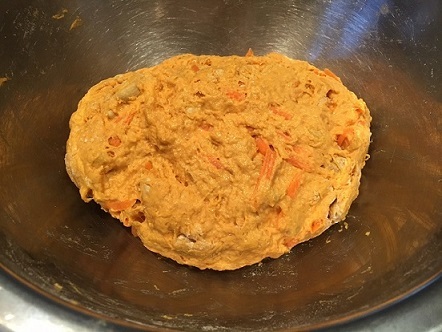 With so many ingredients and flavours in the dough, David’s 21-hour retarding won’t be necessary. Lean dough benefits from a long period of retarding, but it will be an overkill for the kind of dough I have here. 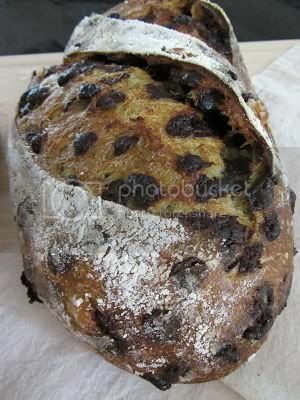 The dominant flavour in this bread is chocolate, and therefore it is sweet. The orange gives it an added dimension. You hardly smell or taste the macha green tea and it is a shame. I believe there will continue to be efforts in building in more bitterness in our baking and our cuisine in general. Bitterness adds depth in flavour, and more fullness in taste. I believe we are ready for more complexity. When I read this, my initial thought was: Hmmm, animals eat better than we do because, not just that the aleurone and bran layers contain a lot of nutrients, but also that the aleurone layer is known to have a lot of flavour compounds. 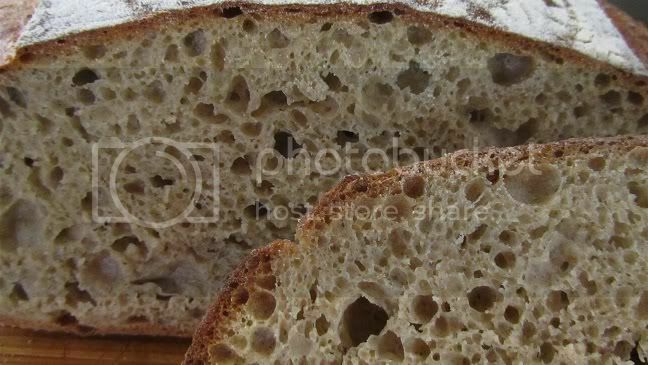 The second thought I had was that no wonder many people say Miche has better flavour than normal bread because a lot of Miches are made of high extraction flours. 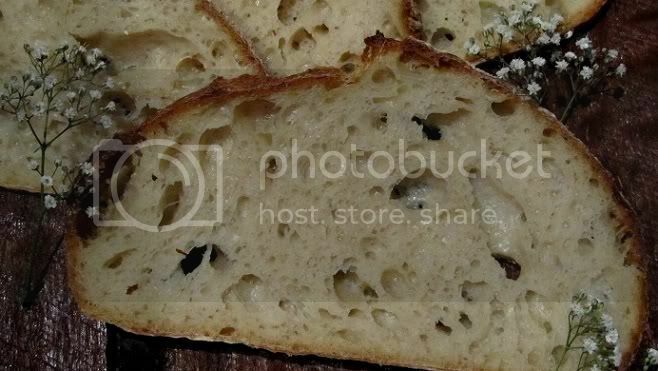 I read David’s and Glenn’s posts about how they like Keith Giusto’s Type 85 malted flour. I rang the company and found that the flour is 90% extraction. I felt that the flour would be great for my Miche experiment, so I got hold of the flour. 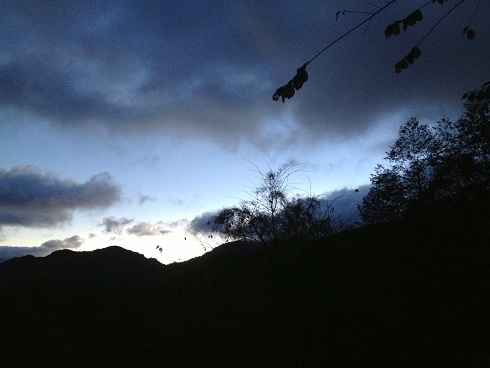 The weather has turned quite cool lately with day time temperature 20 to 22C, dropping to 14 to 15C overnight. I figured if I mixed a dough around dinner time, I could leave it to ferment overnight on my kitchen counter and bake it first thing in the morning. But I was not going to leave it to chances so I used a low pre-fermented flour ratio of 11% and I didn’t go for a high hydration dough. 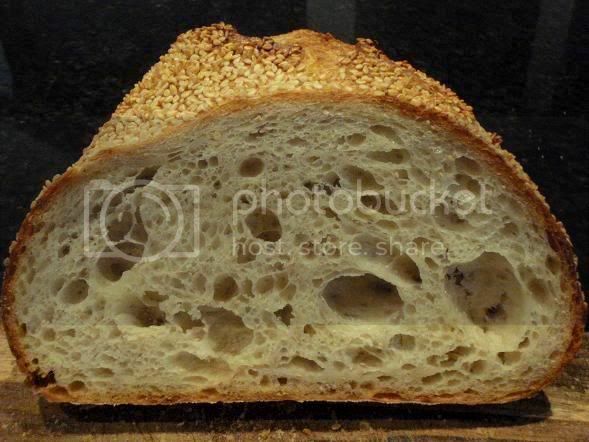 Below was a 1.6 kg dough at 76% overall hydration with a flour combination of 75% Type 85/25% white. I loved it. It has been a long while since I felt excited at my own bread. 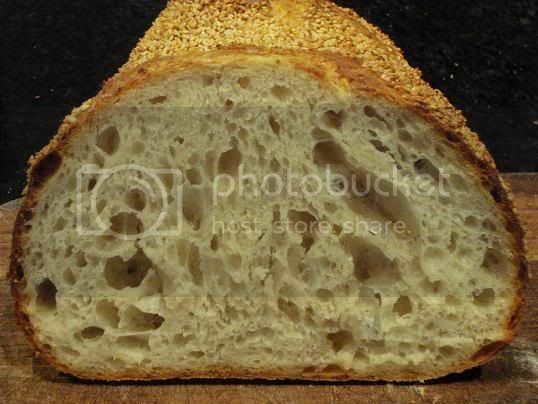 The crumb was translucent and that tells me the flour was very well fermented. The crumb smelled sweet to me. I went to visit an organic mill, Kialla Foods, 150 km west from where I live. I wrote up about it HERE. 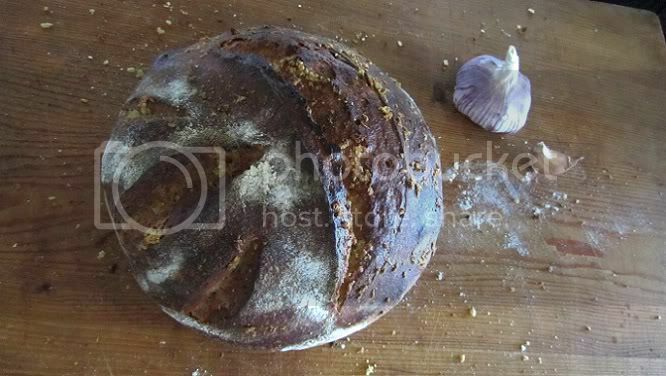 I brought back a few small bags of their organic wholemeal flour mix and was dying to try it. 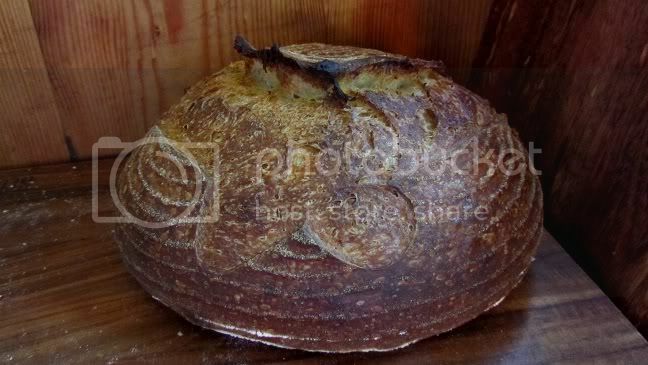 The following sourdough was 800 grams, half the weight of the previous Miche, and had 75% of the wholemeal flour mix and 25% white flour. It also had an overall hydration of 76%. 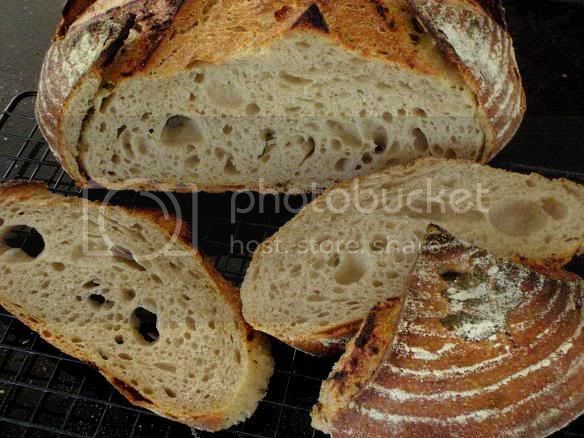 Apart from the flours, all that I added were my sourdough starter, water and salt. The flavour was quite good actually. I have to admit that I am very happy with this baking test. 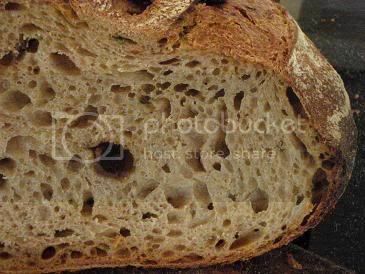 I previously had problems using Kialla’s stoneground organic wholemeal flour but this wholemeal flour mix is very easy to work with. I know why. 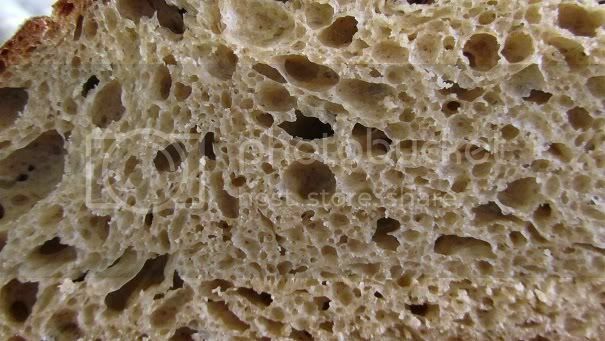 Look at the ingredient list: organic white unbleached plain flour, organic wheat bran, gluten, organic sunflower oil, organic sugar, organic soy flour, lecithin powder, malt flour and non-coated ascorbic acid, allergen gluten and soy!! 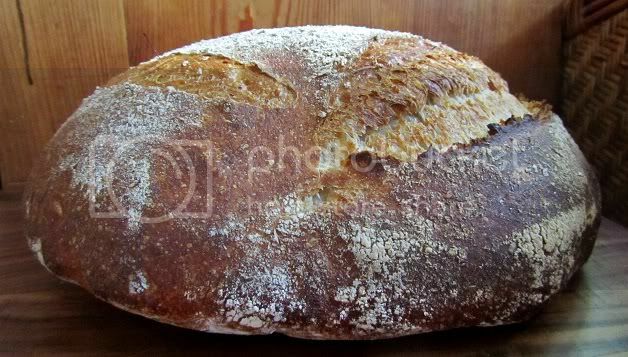 Since my last post, I had made a dozen of these Miches, each time a two kilo loaf. 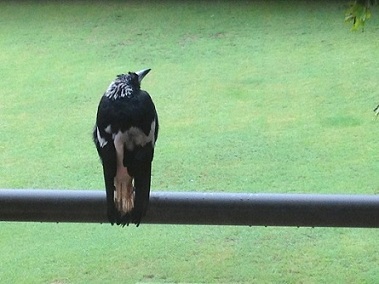 Yes, a dozen of these. 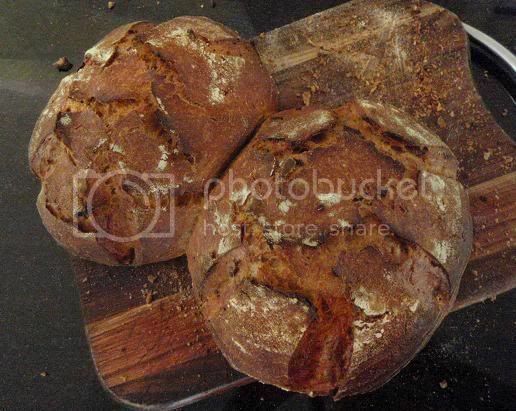 I have had a fixation on Miche-style breads and I need to wean myself off it. 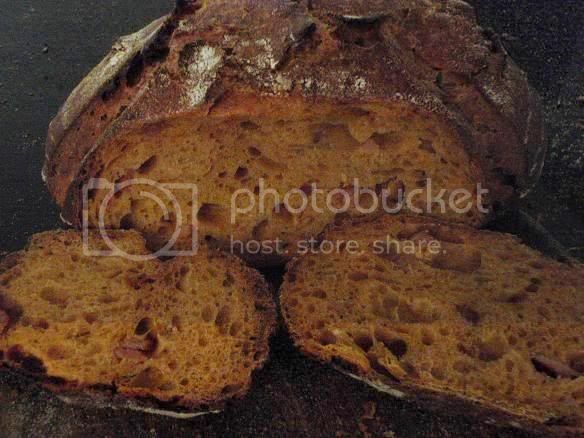 Last year I made a day trip to Sydney to visit some of the bakeries down there and I found my dream Miche with that beautiful translucent crumb: Sonoma Bakery in Paddington, Sydney. I wrote up a post about it. It is each and every cell that I am focusing on. 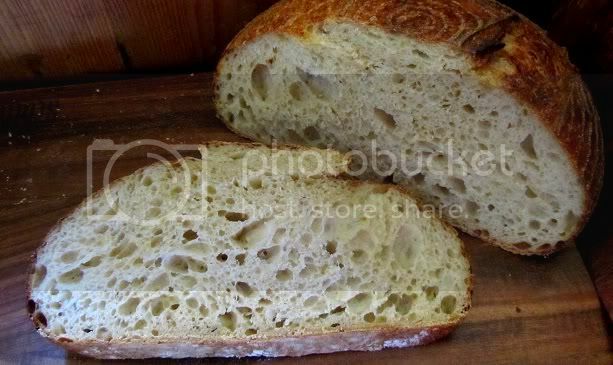 There is a certain translucent crumb quality that I am looking for, similar to the T110 Miche that I made more than a year ago (but that Miche was only 1.5 kilo). There is a Chinese character, 醇, describing a mellow wine beautifully fermented from the best grapes available. I don't know the comparable English word for it (Ron, can you help?). Fermentation is a complex process that cannot be hurried. 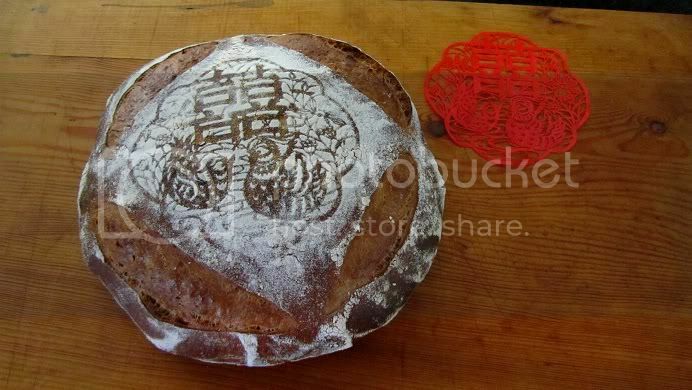 While it is not easy to achieve a delicate balance bringing all factors together beautifully in fermentation, more and more I find that if the flour is not right, there is no chance for 醇 to happen in bread. 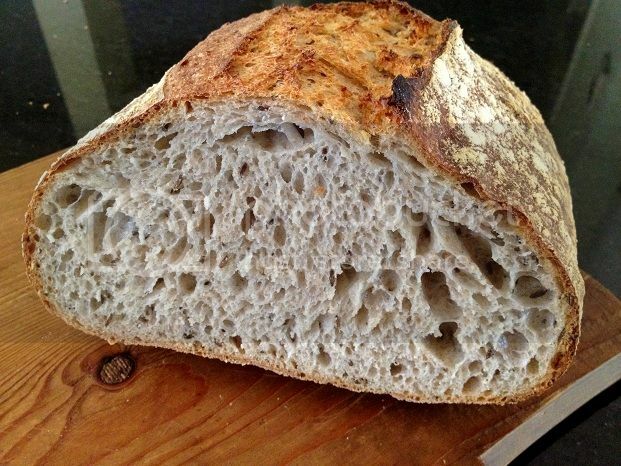 Not all flours have equal fermentable qualities. Any good ingredient is a two-edge sword; it can also harm your result. 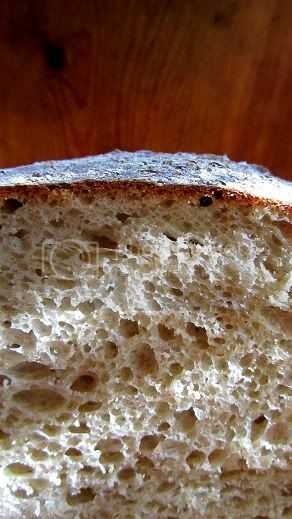 James MacGuire wrote that fava-bean flour, a sauce of malt, is allowed as an ingredient for the bread to be called "Pain de tradition" under French consumer protection laws because it has long been used (whereas ascorbic acid is not permissible as the latter's use was only since the 1950s). 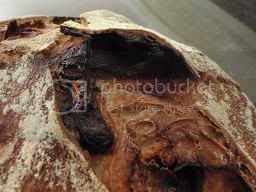 He cautions against oxidation of the dough with malt. 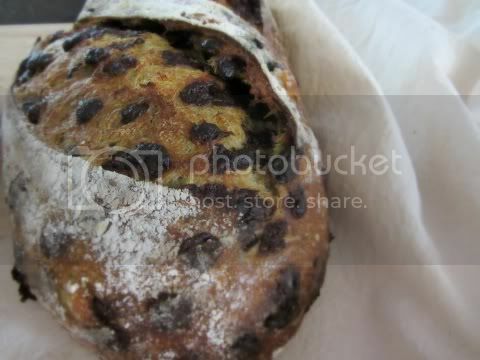 This is no so much a problem for us if we are careful not to over-ferment our dough. These days we go for a slightly under-proved dough for better oven spring anyway. Next, I find dough size and shape do make a difference in outcome. 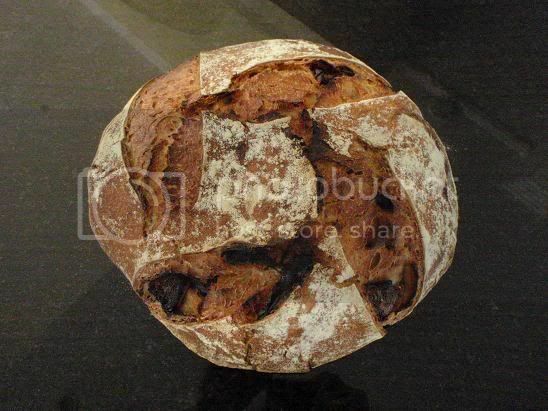 A big round Miche is about the hardest for a home baker to perfect as any other shape. 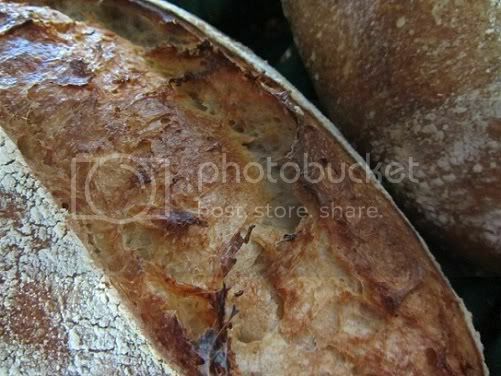 It wouldn't be as hard if the shape is a batard because the thickest part is smaller. 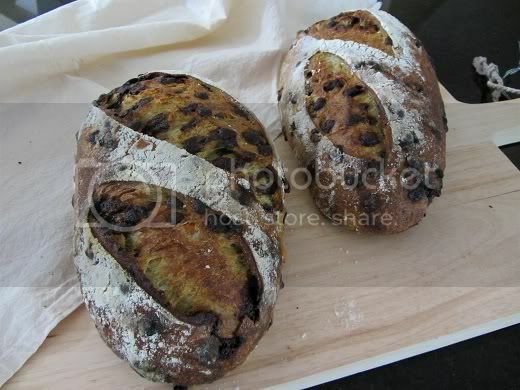 Given the same shape, i.e., the round shape, there is a big difference between a 1.5 kilo dough and a 2 kilo one. It is a lot easier to achieve a great result with a 1.5 kg dough. My baking stone measures 34 cm by 34 cm. 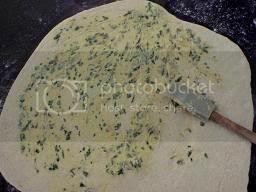 It can take a 2 kilo dough which will bake to 30 to 32 cm in diameter depending on how tall the volume. 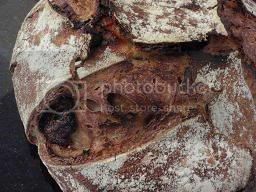 Several times when I didn't load my doughs dead-set in the centre of the stone, they baked with bits hanging on the edge of the stone. Scary to watch. I normally love a challenge, but I am losing steam fast. 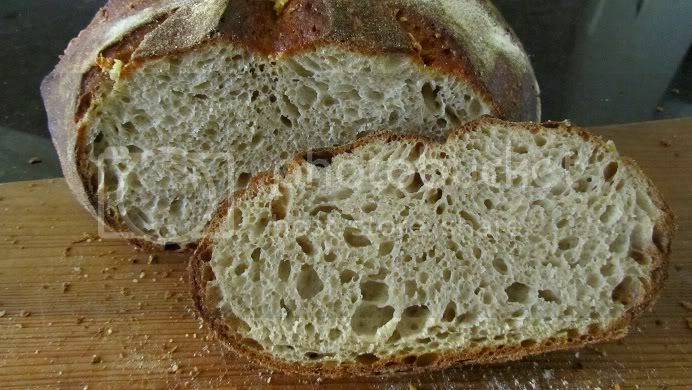 I need good whole grain flour for a good old Miche. White flour just won't do. 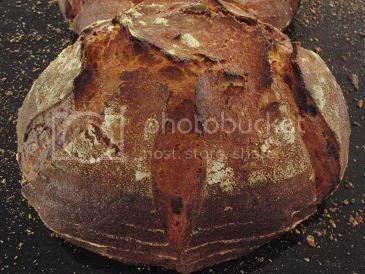 I read that in the States and in Europe there are many good millers who would work with bakers to produce the best flours for the bakers to use. I have yet to find one such miller in my area. I am invited to visit an organic mill, 170 km from where I live, next week. I hope to have good news to report. 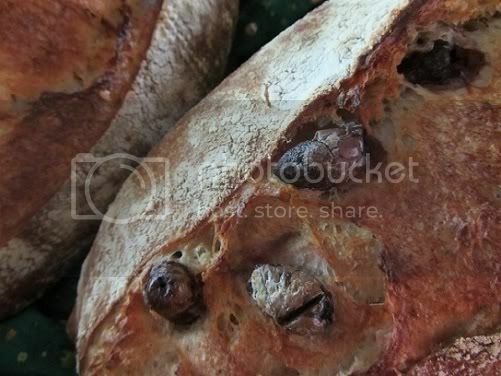 This post is about sourdough made of whole-milled grains which are grown locally. Dropping my son in school one morning I went to my favorite coffee shop for some reading. 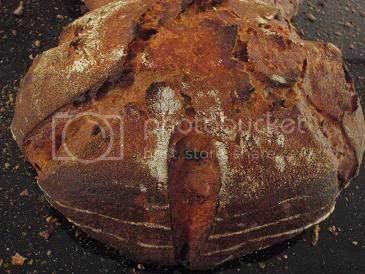 I read an article in Bread Lines (page 24, Volume 19, March 2011), quarterly magazine of The Bread Bakers Guild of America (BBGA), by Joe Ortiz, the author of The Village Baker. The title is "Local Grain, Whole Grain Milling." He talks about how a restaurateur (Bob Klein of Oliveto Restaurant), a baker (Craig Ponsford, Board Chairman of BBGA until end 2010) and a miller (Joseph Vanderliet of Certified Foods) got together in California on a community grains project. Why? 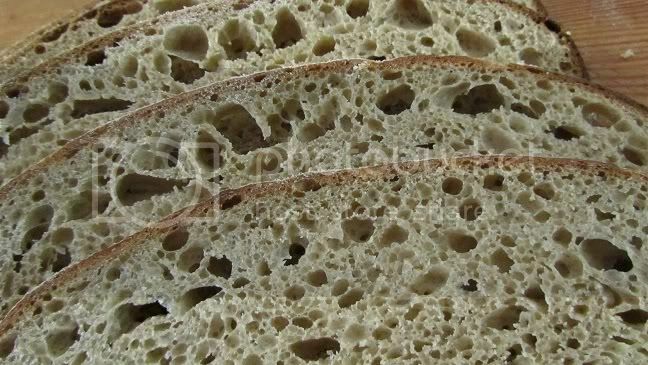 To find more flavors in whole grain breads! 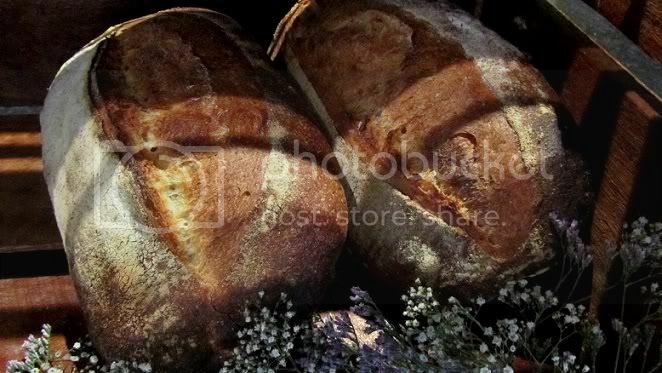 Eco-consciousness is not normally my first and foremost concern when I bake and consume. 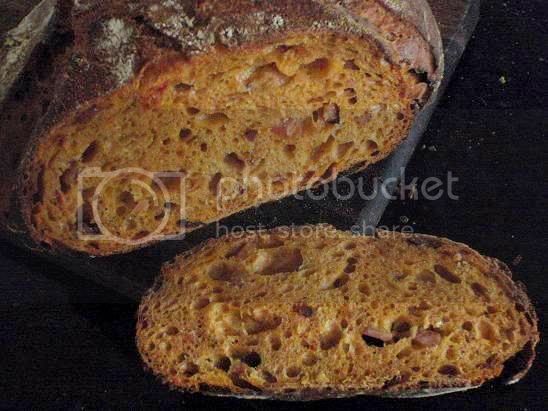 My efforts are geared toward achieving the most flavors for my bread using only the simplest ingredients. But, what is with this community grains project and "local grain economy" whereby locally grown grains are whole-milled between tones (not re-constituted as in many modern industrial roller mills-produced flour)? The answer: more vibrant flavors. Aa an artisan baker, wouldn't you just love to use flour that is "more alive and brimming with its natural nutrients and structure!"? Let's get started. But before we do, I have a confession to make. 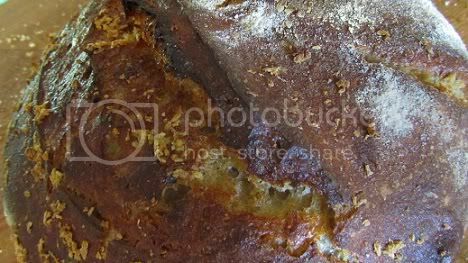 FOUR times I tried making Mr. Ponsford's Integral Bread (formula in Bread Lines, Volume 19, BBGA), each time a 2kg loaf, without success. I almost used up my 5 kg bag of organic WW flour. 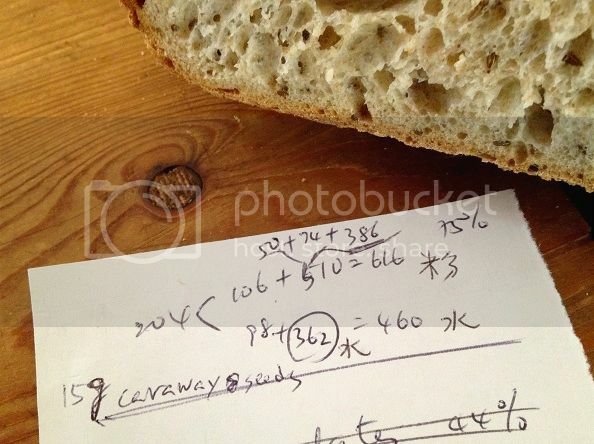 After that, I went on my own, doing my own formulas, for another FOUR loaves of 1kg each (can you imagine anyone else more brave and no brain?). The bread still came out quite dense. I finally rang up the miller for some data, and you know what I was told, "Oh, we don't work with bread bakeries." Sweet! Was I shooting the moon with a wrong spear? 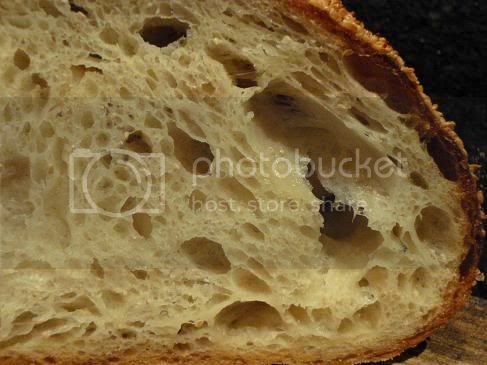 Was that pastry flour that I used for my sourdough? 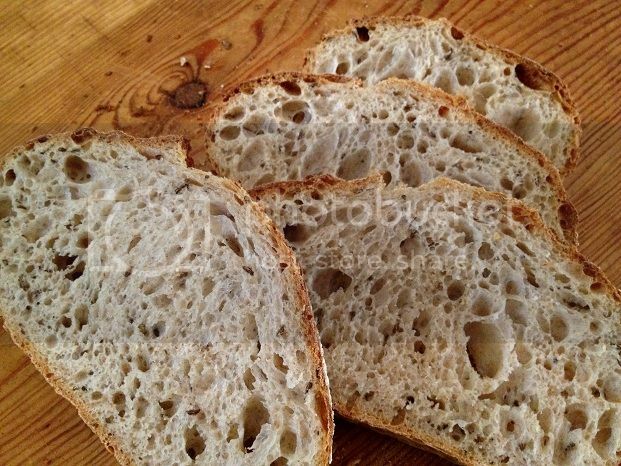 The bread below uses only 50% of whole wheat flour. That is the only way that I could make it work. 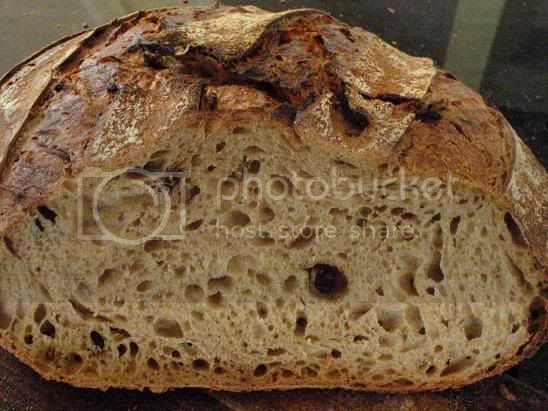 This wholemeal flour is produced by stone-milling the whole wheat grain and the wheat is grown in Darling Downs, Queensland, 170 km south-west to where I live. 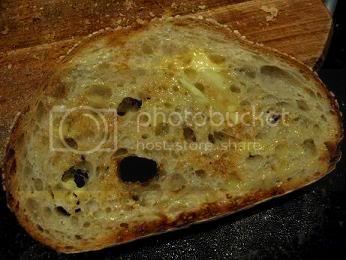 garlic olive oil mixture for brushing the crust: two cloves of garlic + about 1 - 2 tbsp. of olive oil + a pinch of salt. Final dough weighs 1.25 kg at 78% overall hydration. 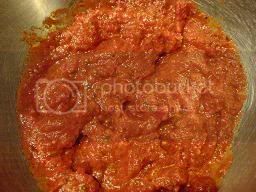 Start by adding water a little bit at a time into the starter to dilute it. 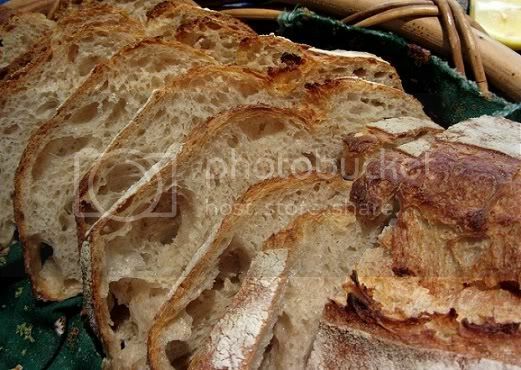 Once the starter is diluted, measure flours and salt into it. Mix the flours and water to just combined. (I used a blunt dinner knife and stirred for one minute.) Cover. 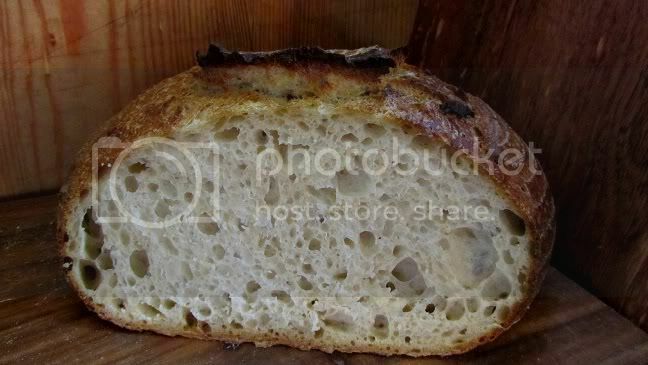 First fermentation (from time-off mixing to the time I placed my shaped dough into the refrigerator) was 5 + 1/2 hours. During this time, I did four stretch-and-folds in the bowl at 30 minutes intervals: 1st time - 12 strokes, 2nd time - 12 strokes, 3rd time - 6 strokes, and 4th time - 6 strokes. At about 3 + 1/2 hour mark, I shaped my dough. There was enough strength in the dough and I didn't need to pre-shape it. 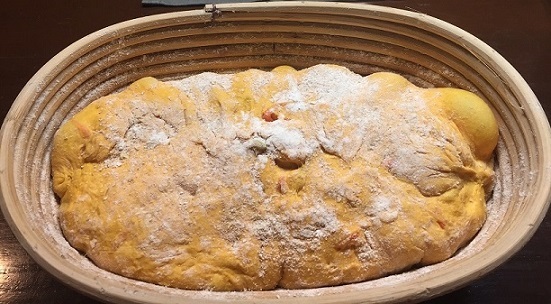 The shaped dough was left out on the kitchen bench for about another 2 hours. For the whole time of this leg of fermentation, my ambient temperature was 25C/77F and so I was able to keep the dough temperature constant. Your may not need this long. My dough rose about 60 - 70% before the next leg of fermentation. Second fermentation was done in the refrigerator for 12 hours. The night before sleep I set my oven on timer to bake the next morning. The oven was to pre-heat to its max. temperature with my cast iron pot inside. 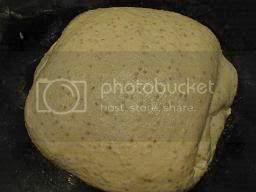 On the morning, I scored and baked the dough cold straight out from the refrigerator at 230C/446F for 25 minutes; then with the pot cover open, it was baked for a further 15 minutes at 220C/430F. While the bread was being baked, I made the garlic olive oil mixture. (I used a garlic press for this. 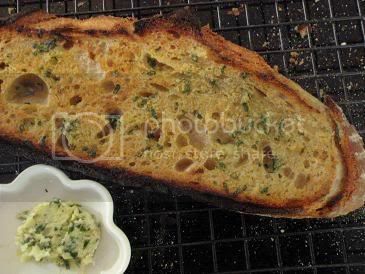 If you don't have a garlic press, use a mortar and pestle; if you don't have a mortar and pestle, chop garlic finely, then use the back of your knife and press the garlic into a paste.) You will only need half of this mixture. With the rest, I made it into a garlic butter. 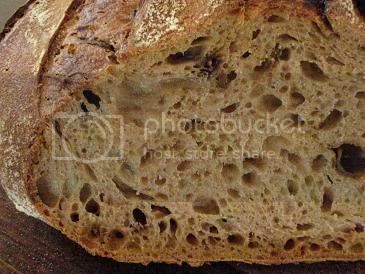 With this post, I encourage you to seek out your local grains and whole-milled flour and see for yourself how much more you like your bread. 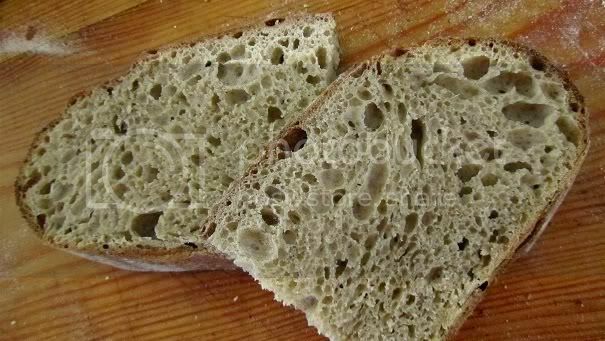 If you are like me who doesn't like the taste of 100% wholemeal, try substitute up to 50% bread flour or other type of flours. 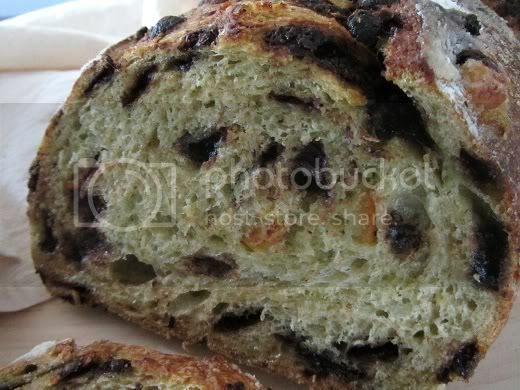 The garlic and olive oil mixture has done its trick and the bread is delicious. Many years ago our family lived in Singapore and I had a personal trainer. Singapore is a young, vibrant society where sports may not be a big thing but going to the gym is popular. I still remember that on the first day I looked around my gym and felt daunted by what I saw. At the end of my first session, I asked my trainer how often I would have to train to look like her. I like my trainer dearly, she is great; she said, "Oh, just three times a week!" It was well after we left Singapore that I worked out myself, No way José! Many of us at The Fresh Loaf are not just interested in making a loaf. 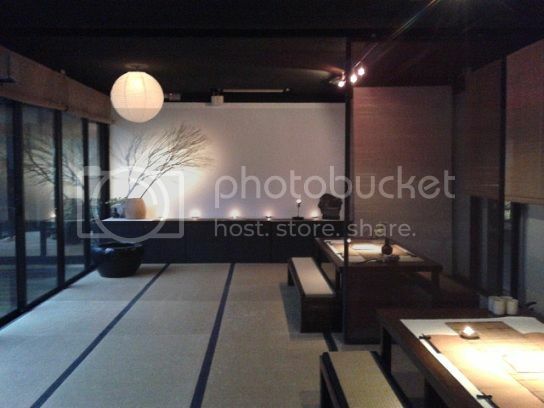 Many of us are good cooks at home and have a broad interest in cuisine in general. Have you ever watched cooking shows and wondered why those great chefs emphasize on fresh ingredients when all that you are interested in at that particular point in time was "the technique"? No amount of "techniques" can turn ingredients of less than the most premium quality into exceptional dishes. 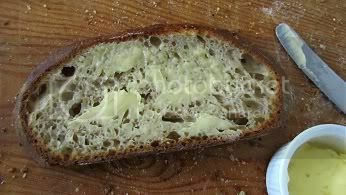 I can research all I like, practice all I like, but if I can't lay my hands on the best ingredients, I won't have exceptional breads. At different level of our learning, our masters reveal different level of knowledge to us; their purpose is to not scare us away at the beginning, and to not confuse us at the beginning (because we just won't be able to absorb all the knowledge in one go). That was the well-intention meaning of my trainer, and of many masters! 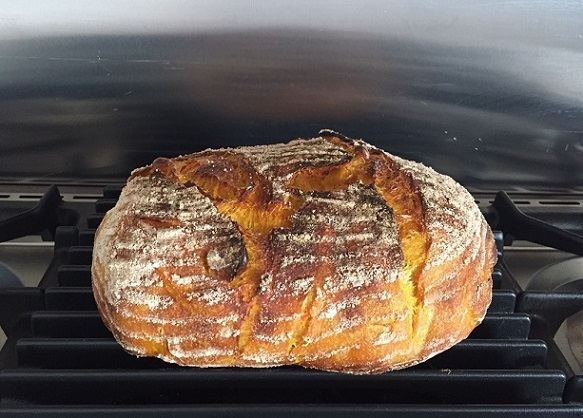 Do home bakers need other people's exceptional breads at home? You would be the judge for yourself. If you have the freshest seafood, how would you cook it? 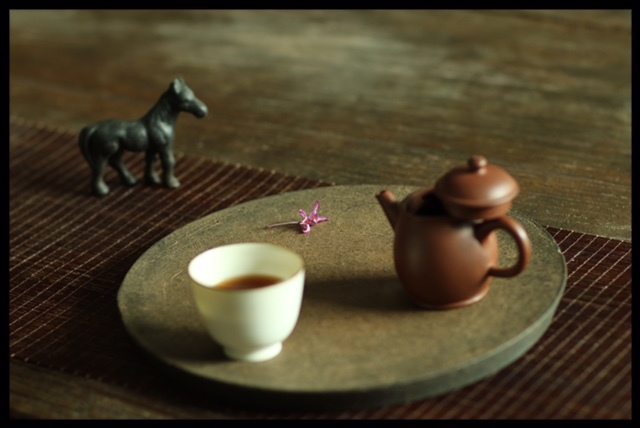 Chinese would steam it to allow the freshest sweet taste reveal itself. 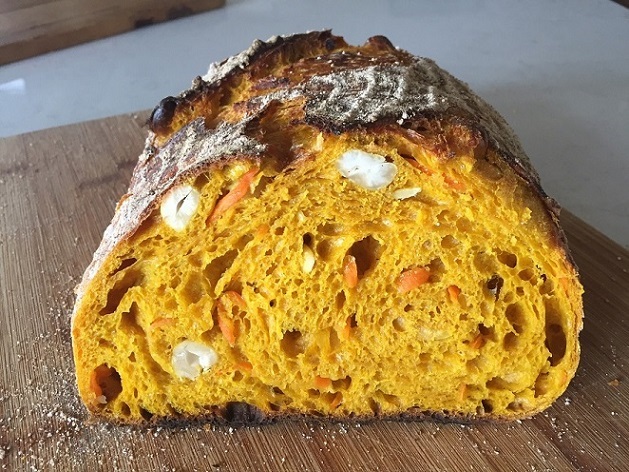 If you have the best flour, how would you bake with it? 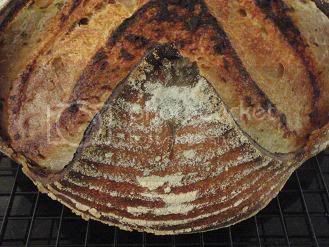 Do you try to ferment it the best you can, so the natural flavour of flour "shine" through? What if your flour is good, but less than the best to your taste, what would you do? Inject flavours! I decided I would embark on experiments on flavour enhancers on bread. 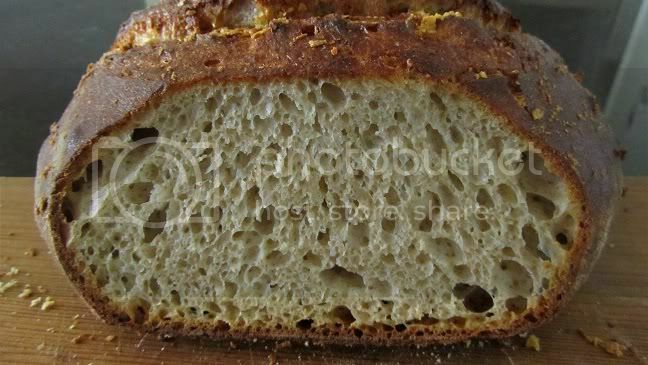 With this post, I have done four experiments with the T80 flour I have from France. (1) Slow roast the garlic in 160 ºC oven for 1 1/2 hours or until very soft like cream. Chop the parsley finely (discard the stalks). 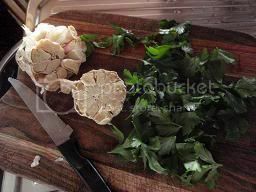 Use 1 - 2 tbsp of butter (softened in room temperature) to bind the garlic and the parsley together with a pinch of salt. 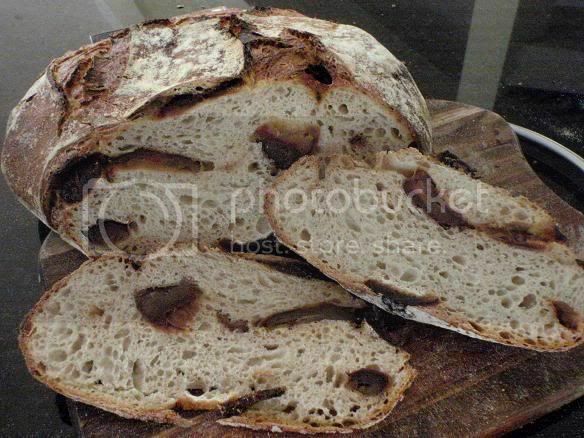 (2) After bulk fermentation, divide the dough into two pieces, 400 grams and 920 grams. Roll out the small one like a pizza base. Spread the garlic parsley butter over it. 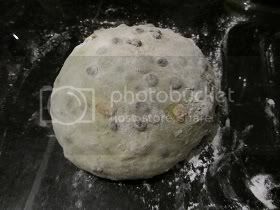 Shape the bigger dough into a boule. 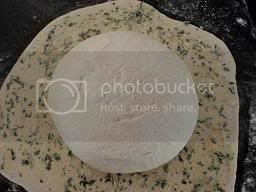 (3) Place the boule (right side down) on the pizza base as shown on the picture above. Fold the edges of the pizza base over the centre of the boule and turn the whole thing over (so the right side of the boule is now up). 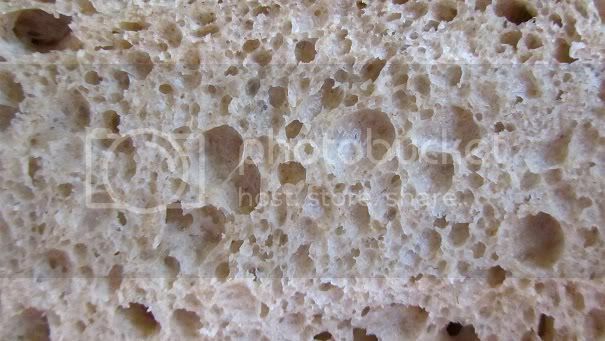 Either prove free form or, as in my case, prove in a flour dusted banneton. I scored deep. 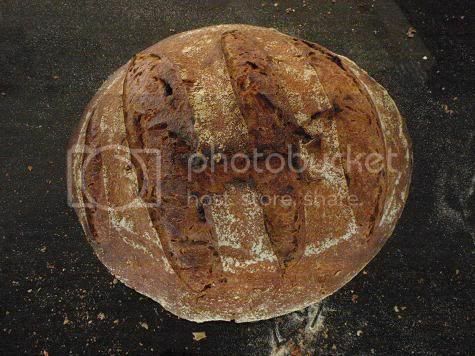 In my Body and Mind post, the boule was scored very shallow so as not to cut into the main dough inside. 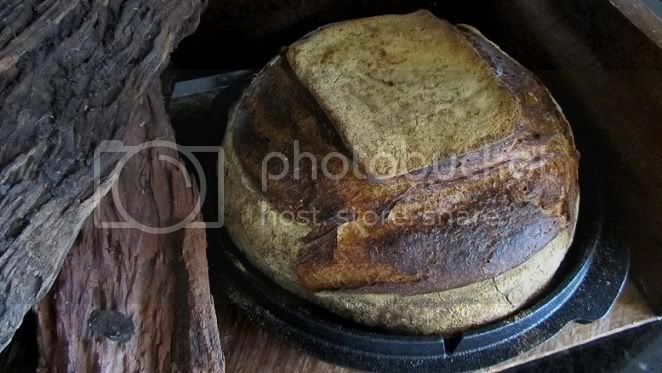 But in this miche, the main dough underneath was also slashed. All of the T80 miches in this post were baked using the covered method with no steaming required. 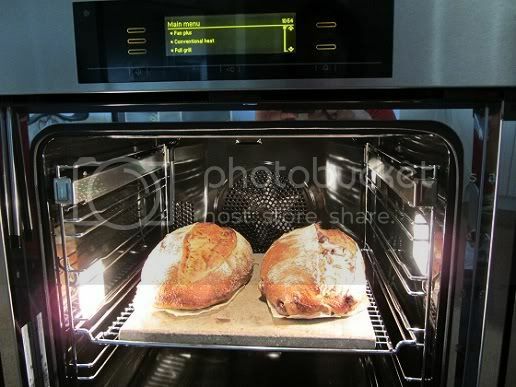 I baked at 245 ºC for 35 - 40 minutes covered, and then another 15 minutes uncovered. Chop the porcini roughly, then mix it with 1/2 to 1 tablespoon of dark brown sugar and a pinch of salt to try to bring some flavour back to the mushroom as most of its flavour will have lost to the liquid. Marinate for at least 1/2 hour. Total dough weight was 1.4 kg and overall dough hydration was 68%. 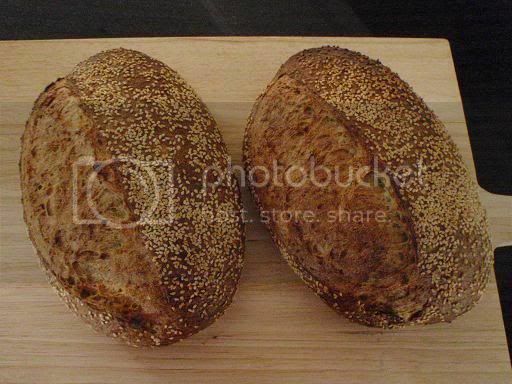 This miche is very simple to make. First, use the water to dilute the starter, then add the reserved chicken stock liquid and chopped porcini, then add flour and salt, mix thoroughly, then autolyse ... the rest is standard. This is one of the best flavoured miches I have dreamed of. When I poured the almost darkened chicken stock into the starter, I was skeptical as to how well the little beasties in the starter would like being invaded by the foreign bodies from the porcini mushrooms. But it turned out alright. 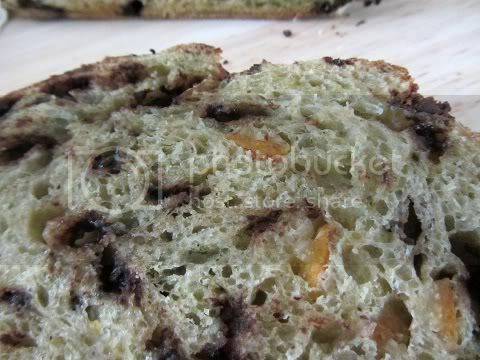 The crumb was very spongy with a strong mushroom savory aroma. I used the bread to make giant chicken burger sandwiches - the works style with bacon and eggs, and lots of salad. My kids loved them. Total dough weight was 1.6 kg (before the addition of dates) and overall dough hydration was 67%. 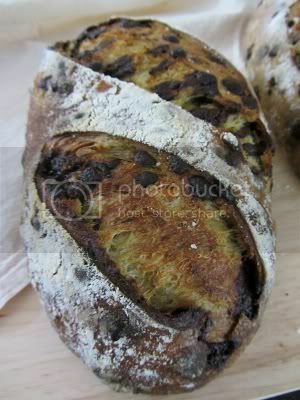 The dates were incorporated just before shaping. 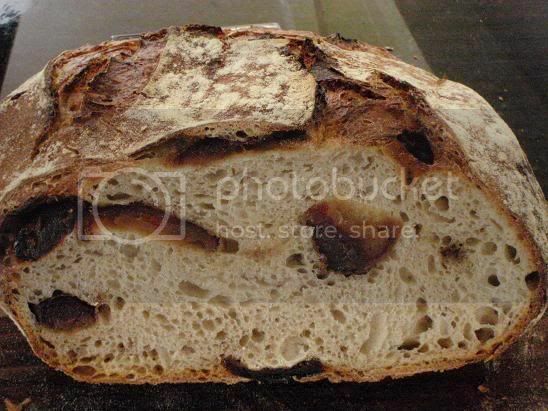 Once the dough had done bulk fermenting, I flattened the dough completely on flour-dusted bench-top, and placed the dates one by one on the top of the dough as I de-stoned them. I didn't keep count how many I had used, but as many as I could. I then rolled up the dough and shaped it round. While I was taking the above photo, the sun was very strong. 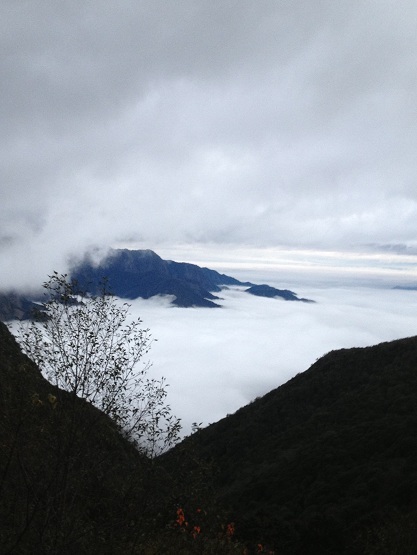 But all of a sudden it went behind all the clouds (see photo below). 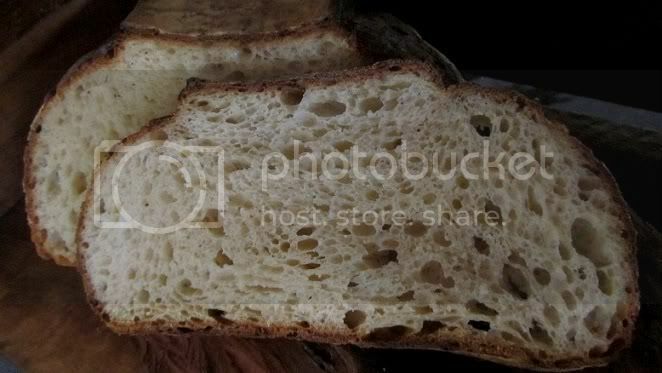 The true colour of the crumb was more like in between these two shots. 170 grams bacon (the part that has no fat), diced and pan-fired in a tbsp of butter (once cooked, the bacon will reduce in weight to about 100 grams). 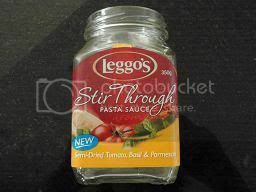 270 grams of the pasta sauce, mixed into the cooked bacon. Sorry for the poor lighting. 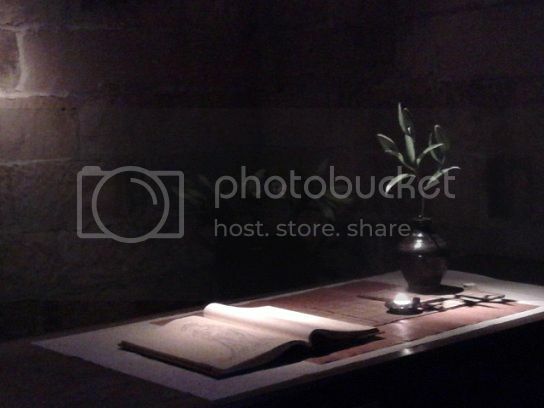 I didn't want to use my camera flash light and I didn't want to turn on my kitchen halogen lights either. Well, this concludes my experiments. It is too easy to inject flavours. You can do anything you want. 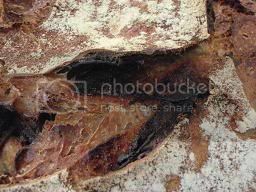 One day I might roast a whole leg of lamb wrapped in sourdough bread and use a chainsaw to saw it. My daughter said, "Don't be ridiculous." 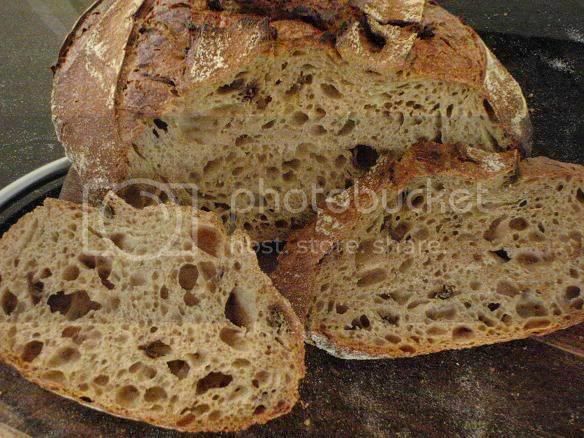 It is way harder to try to ferment the flour. The cello is playing inside the house and outside the house the rain is falling. I ask myself if this T80 flour is what I have been waiting for all this while. 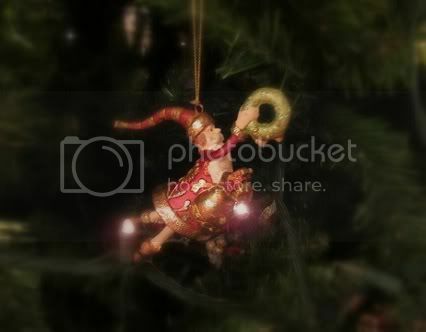 It is interesting how I have been fixated on something and have lost sight of something else. Our family has been settled back in Oz for five years now. This coming Easter we are going to Singapore for a small break, and to reacquaint ourselves where we left off five years ago. The family is feeling an unexplained excitement. 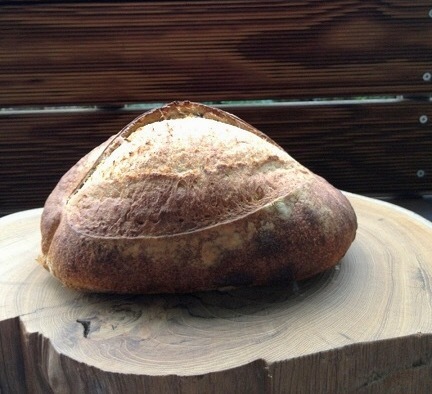 This Easter marks my one year anniversary since I began baking sourdough. 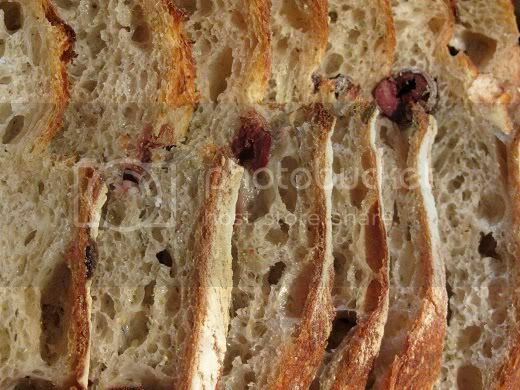 It has been a journey for me on many levels and I thank many people at The Fresh Loaf, as well as other on-line bread sites, for my development. I started off doing something, but I ended up finding something else. I am truly blessed. Thank you everyone here at TFL and wherever you may be.